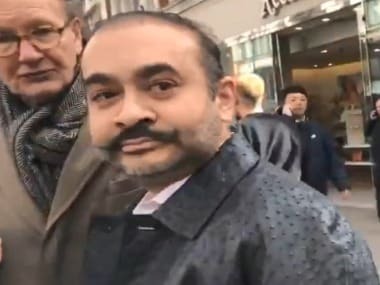 London: Fugitive diamantaire Nirav Modi, arrested by Scotland Yard on behalf of the Indian authorities, was in possession of three passports, it emerged when he was produced before the Westminster Magistrates' Court in London on Wednesday. "He is the opposite of a flight risk and demonstrably so, given his keenness to fully cooperate with the [UK] authorities,” claimed Scott, while offering to surrender all residency and travel documents. It remained unclear how Modi, wanted on fraud and money laundering charges amounting to $2 billion, came to be in possession of multiple passports. In her decision to turn down Modi's bail plea, the judge noted that he possessed the “means” to acquire further travel documents and therefore there are "substantial grounds" to believe he may not surrender before the court if granted bail. The Crown Prosecution Service (CPS), arguing the case for his extradition to face the Indian justice system on behalf of the Indian government, had strongly opposed bail because Modi had “deliberately evaded justice” and not returned to India despite a series of criminal summons issued by Indian courts. 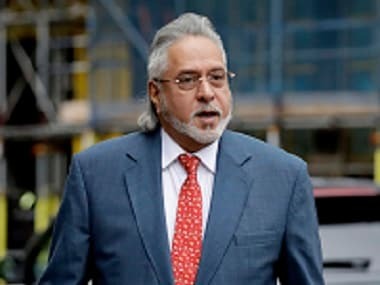 Modi's defence team, which includes Anand Doobay of Boutique Law—also the representative in the extradition case of liquor tycoon Vijay Mallya, argued that their client arrived in the UK in January 2018 before any allegations had emerged in India. He has since been living in London "lawfully" and his son has been studying at school in the city for five years. It was claimed Nirav Modi arrived in the UK for an initial public offering (IPO) of his business and plans for his brand headquarters to be based in London. He has since been based in London while being employed by Diamond Holdings for 20,000 pounds a month and also pursuing educational courses. "The allegations in India arose in an unusual way…leading him to engage lawyers in the UK, who have been in contact with the extradition squad of Scotland Yard since February 2018," Scott said, adding that his legal team has since repeatedly informed the UK authorities that he is “keen to fully cooperate” in any extradition matters. It was claimed that the tacit arrangements being struck between Boutique Law and Scotland Yard were thrown awry due to the “widespread publicity” of the case worldwide and Modi was arrested as he tried to open a bank account in London. "He is in possession of a wealth of material in support of his case… and intends to make comprehensive arguments against the allegations, including that of political motivation and human rights,” Scott noted. Despite long-drawn arguments in support of his conduct as a tax-paying resident of London, the judge sent him to be held in custody at HMP Wandsworth prison in south London until the next hearing in the case on 29 March.